This entry was posted in boyfriend, personal musings, pivotal moments by shiberty. Bookmark the permalink. Hi Jess, I felt such a familiar heartbreak reading this post. 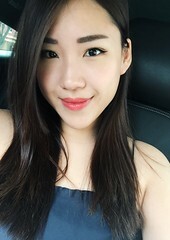 Please stay strong, remember all the blessings you do have in your life (a fortunately young lady who’s attractive, smart, successful, with a good support network of doting family and friends, living in a safe place like Singapore – so much to be thankful for! ), and trust that things will be ok again! It took me TWO years to get over my ex boyfriend, but eventually I met my current partner who’s given more love than I could ever dream of! At the time, I thought I would never find someone else/ fall in love again. Proper healing takes a lot of time, but you’ll find love again when you least expect it! Ps, I ordered a birthday cake from you for my partner’s birthday 2 years ago, and we often look at your instagram food/ bake photos together! So much talent! !